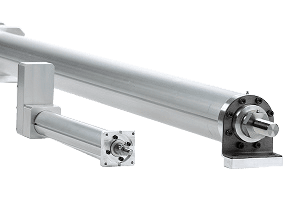 The Victory A-Series is a line of ram-style electromechanical linear actuators designed and manufactured in the United States. This line has proven to be an economical, heavy-duty, and a precise alternative to fluid powered cylinders. Precision Technology was acquired by May River Capital and Hunt Valve Company.